Foot Repair Serum -Treats Dry, Cracked Heels Fast - Guaranteed! This patent pending product treats dry skin and cracked heels. See and feel results in as little as 2 days with this ultra light serum that dries instantly and leaves your feet as smooth as silk. Treats the cause of painful and unsightly dry, cracked feet. Apply one pump morning and night. No exfoliation or filing necessary. Scientifically developed to provide more effective treatment than moisturizers alone. This is the best product for dry cracked feet! Works great!! I would give it more stars. This stuff is AWESOME!!! Wow!!! This line really works!! I recently started using the foot repair serum, and instantly was feeling and seeing results. I have tried lots of different products, and none have measured up to the quick results using Dr. Canuso’s repair serum. I feel so much more confidence wearing summer sandals and can’t stop talking about the quick results. Thank you for creating such an amazing product!! This stuff was great. My feet are looking better and better. I had an issue that required quick results and all I can say is that I am happy with the results so far. Love it!!! This is truly an amazing product!! The cracks are completely gone. My husband works 8-12hours a day in waterproof work boots, the serum has helped clear up the cracks and dryness that was causing him so much pain. He has actually started running a couch to 5k plan! I bought this because my heels were cracking and starting to split, starting using it and saw results almost the same day. The pain was gone and it stopped the splitting and cracking. I have tried other stuff before, none of them worked as good as this. So if you are looking for something that really works, I would say this is your product. Love this product! I have to admit I had my doubts that it would work but I’ve tried other methods with no luck. After one month my nails started to show clear growth! The serum made my feet so soft and free of dry scaly skin. I have ordered more for my daughter! Miracle! The syrum and the foot wash were AMAZING! I have tried for years to get NICE SOFT feet and in a lil more than a week I had them! Amazing product!!!! The serum coupled with the foot scrub are a force to be reckoned with. My feet feel and look fantastic. I went for a pedicure the other week and it was the first time EVER, they didn’t have to use the razor on my heels. I can’t say enough about this. If you don’t already have it….but it NOW! This product is great!! It leaves your feet super smooth and it is instantly dry, so you don’t have to wait around for it to dry before putting your socks on. This is a must have for flip flop season!!! Awesome product. Recommend it highly! This repair serum is wonderful! Love this stuff! It works great and absorbs quickly. It applies with no greasy mess. I’m on my second bottle already. Used it-better than anything out there! This is the best product I have ever used. Nothing has ever compared! I used to be embarrassed of my dry heals and now I am confident and so happy. I used to have the cracked skin on my feet to the point were it was sometimes painful. I also had cracking between my toes and fungal toenails. I really just hated putting on cream and waiting for it to dry so I eventually would just stop using the cream. A buddy of mine told me about Dr. Canuso’s products. 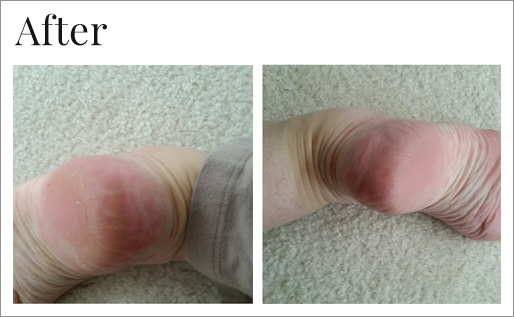 Within a few days they were already feeling better and after a few weeks the dry skin and cracking was completely gone. Plus it dries almost instantly so I don’t mind using it. Awesome products! A must have for beautiful feet!! Smells great and works great!! I was never one to use anything on my feet but when a family member suggested Dr. Canuso’s foot serum, I figured I would try it. 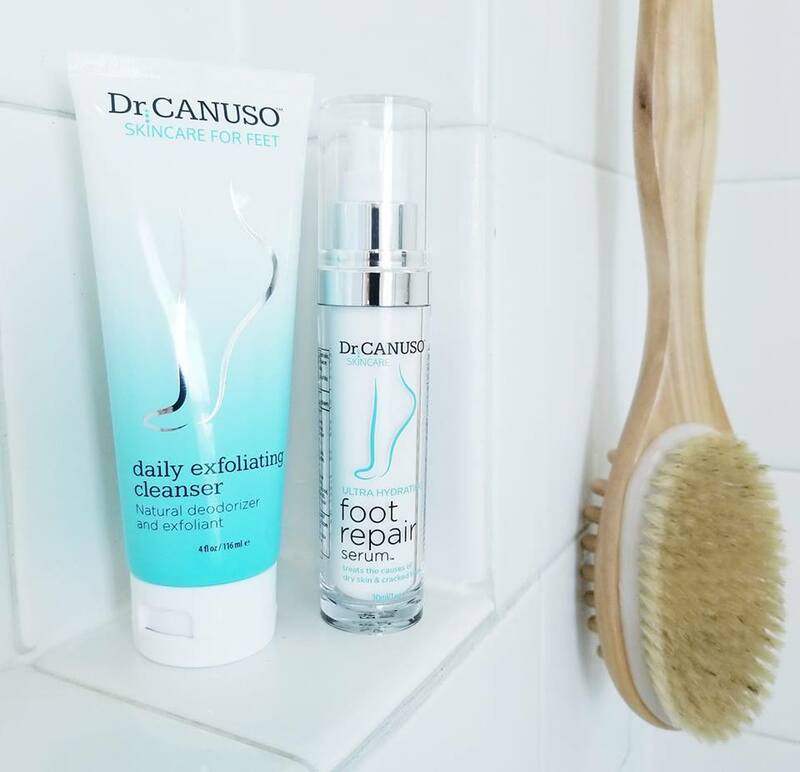 After wearing thongs/flip flops on my feet during the summertime I realized that my heals were cracked and so after using Dr. Canuso’s foot serum my heels had approved 100%. Dr. Canuso’s Ultra Hydrating Foot Repair Serum has made my feet feel so soft in less than 3 days! I am extremely happy with how quickly it works and have added it to my “go to” recommendation list as a pharmacist. It dries very quickly so it doesn’t add any extra time to my morning or evening routine. I have truly had my fair share of manicures and pedicures, and even those did not compare to how soft this product has made my feet. I am very self-conscious of my hands and feet and the serum has added the confidence I needed by treating and preventing dry, cracked heels. If that’s the issue you are dealing with, than I have no doubt this is exactly what you need! Yes, every healthcare professional says there is NO Quick fix or magic pill for various health issues, but this product gives results in a couple days that actually last! I believe in quality and the serum really did deliver that and so much more! Only cream that has worked for my feet!! Love it! Love it! Only after two days I see amazing results. I couldn’t believe how fast this product worked! My feet look fabulous! I met Dr Canuso at a nail show in Tenn. in June of this year. I bought a tube of the foot serum, I had dry heels with a few cracks, Dana told me about the product so I thought why not, I love it I have not dry or cracked heels My feet look great even with 8 hours of standing on my feet. So here I am to order some more. Amazing! It’s so hard to find something that actually works when you have extreme cracks in your heels. I’ve tried everything that the docs recommended for my feet for diabetes and this is the only thing that has worked. I really would give it more stars if I could! Would love to try your product on my clients. I have suffered forever with dry cracked heels. Sometimes they would split and bleed making me walk on my toes. I went to 2 different dermatologists and they gave me a cream with salicylic acid….which did NOTHING> I have been using this serum for 3 days and WOW WOW WOW. I can’t wait to see what my feet look like in a month! I can’t thank you enough for creating this product!! Thank you for your foot serum. I work on my feet all day. The callouses that were forming on the ball of my feet were so painful. Since I’ve been applying the serum the pain is gone because the serum has soften them. Thank you , Respectfully Margaret G.